If you love margaritas, a summery fruit salad with tequila should work very well for you. 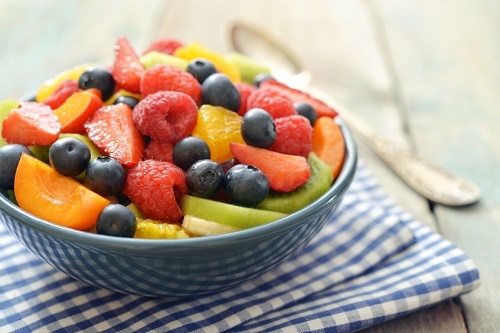 You start with kiwi, mango and blueberries mixed in a bowl with sugar, agave tequila and lime zest. You heat the mixture over a medium flame until the sugar melts. Stir in 2 tablespoons of freshly squeezed lemon juice and leave in the refrigerator for an hour to cool before you serve.